*See Land Rover Paramus Service Department for complete details. *Save 10% on Land Rover Accessories. 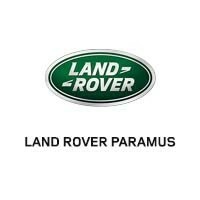 See Land Rover Paramus Service Department for complete details. Keeping up with the regular maintenance and service on your car does not just keep it in top shape, but also helps you save money, extend the life of your Land Rover and help maintain good resale value, which is why we offer great service specials to help you keep your car up to date. Regular maintenance is absolutely important to the continued well-being of your Land Rover, by keeping the components well-tuned and oiled to reduce wear and tear and through identifying potential issues before they cause damage to your Land Rover. With our wonderful savings, this is not only easy and convenient, but also inexpensive, especially when you take into account the other savings you get from a well-maintained vehicle. If you like to keep your Land Rover for a long time, regular maintenance will make them last longer. On the other hand, if you like to regularly upgrade your vehicles, a well-maintained car can earn you much more money as a trade-in than a poorly-kept one. So call us today to schedule your next service appointment and find out just how much money our service specials can save you! Whenever you take your Land Rover into our dealership, you can be sure that every person working on it is a well-trained and experienced mechanic. Every single one is certified to work on multiple makes and models of vehicles and has experience doing both regular maintenance and complex repairs. When your car goes in for its next maintenance appointment, the person performing the service has not only been thoroughly trained on the procedure, but has also performed it many times before. If you want fast and quality work done on your car by trained and experienced professionals, we are the perfect place to go! In addition to employing top-notch automotive experts, we ensure best results by using only the highest quality Original Equipment Manufacturer parts. OEM parts are indistinguishable from the original parts with which your Land Rover came, since they are made by the same company, according to the same blueprints and from the same materials as those original parts. That makes them perfect one-to-one replacements for any parts that may be damaged or worn down on your car. They fit perfectly with the surrounding parts and don’t damage them or cause excessive wear and tear, unlike aftermarket parts. Those are made by third-party manufacturers without access to the original blueprints and often use lower quality materials. They also are designed for many vehicles, rather than tailored to your specific ones. That makes them likely to fit imperfectly with the surrounding parts and cause poor performance or additional wear and tear on your car. OEM parts deliver you the best quality and keep your car working as best as possible, which is why we use them exclusively at our repair facility. And, thanks to our great service specials, they can be a lot less expensive than you think! Service and repairs do wonders for your car’s well-being and long-term value and our service specials only make them an even better deal. With good maintenance, quality parts and expert care, you can save a lot of money over the long term and our excellent discounts and package deals save you money today. With such opportunities, there is just no reason not to call us and schedule your next service with us today! Your Land Rover and your wallet will both thank you.